AFS students are studying at Plymouth High School this year. 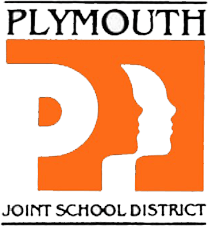 AFS foreign-exchange students attending Plymouth High School again will share information about their home countries with the public. The second 2018-19 presentation will begin at 3:30 p.m. Sunday, Feb. 10 at Generations, 1500 Douglas Drive, Plymouth. Presenting will be Jimena Madoz Ontanon from Spain, Kora Harada from Japan, and Rixt Samplonius from Netherlands. Mark your calendar: The final 2018-19 student presentations are scheduled for Sunday, April 7. PHS is hosting nine students this year, from Albania, Denmark, Italy, Japan, Lebanon, Macedonia, the Netherlands, Norway, Spain, as well as including the Albanian student from Cedar Grove in its activities. The Plymouth High School AFS chapter is one of the most active in the state, hosting 71 students from 33 different countries since 2012-13. • Visit the PHS AFS webpage. • Explore the Innovative Opportunities section of our award-winning District Report Card to learn more about the unparalleled opportunities for international experiences available to our students.